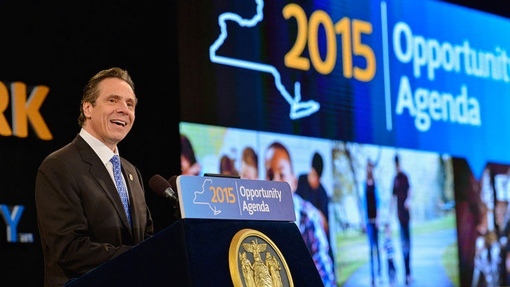 The state of New York is about to make a massive investment in its digital future. New York State Governor Andrew Cuomo last week announced a record-breaking $1 billion plan to bring Internet speeds of at least 100 Mbps to all but the most remote corners of the state by 2019. The initiative, called the New NY Broadband Program, will make $500 million dollars available to private Internet providers. To qualify for the funding, private Internet providers must match state funds at a 1:1 rate and provide speeds of at least 100 Mbps to their customers. In certain remote areas, funding will be available to companies able to provide 25 Mbps speeds so long as the infrastructure is both scalable to 100 Mbps and determined to be the best means of providing broadband to the region. Funding will be prioritized to those companies able to deliver the highest speeds at the lowest costs. In addition to bringing faster Internet speeds across the state, Governor Cuomo’s initiative will likely also bring lower prices for broadband customers. As we’ve seen in other states, cities and municipalities with advanced high-speed Internet infrastructure, faster maximum speeds often bring increased competition between providers. New Yorkers will likely see better rates for their current speeds, or a significant speed increase at no extra cost. The new Internet infrastructure will also benefit students in New York’s schools by providing the necessary bandwidth to be shared between hundreds of tablets and PCs. According to the most recent Akamai State of the Internet Report (Q3 2014), only 47% of New Yorkers currently enjoy broadband speeds of 10 Mbps of more. New York was one of only 11 states that saw its high broadband adoption rate decline (-0.2%) on a quarterly basis.